Samsung has launched a new thin and light premium Chromebook. 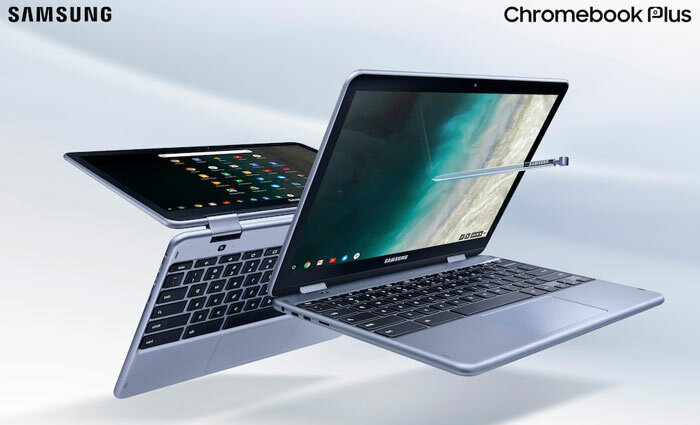 The Samsung Chromebook Plus V2 offers an improved processor compared to its predecessor, and is a 2-in-1 which packs a stylus, and front & rear cameras too. This machine is based around a touch sensitive 12.2 FHD display panel and is powered by an Intel Celeron Processor 3965Y, backed up by 4GB of RAM and 32GB of built-in storage. Overall there isn't that much of a difference between this and the first generation device, even less to the casual observer. 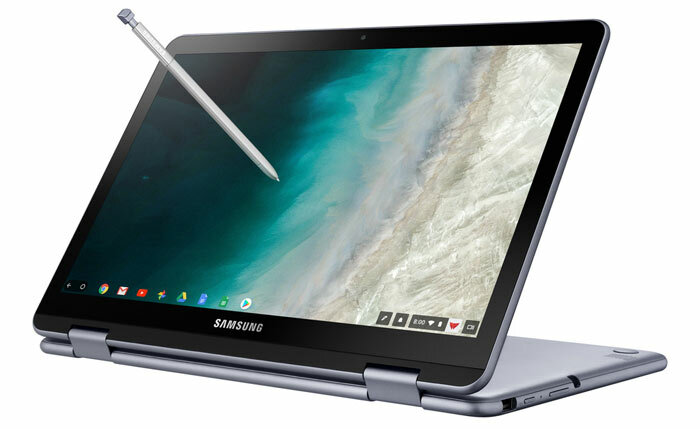 As mentioned above, the new Samsung Chromebook Plus V2 is claimed to deliver a performance boost, having been upgraded from the 2017 choice of an OP1 ARM processor to the aforementioned Celeron 3965Y. The Verge reckons that the 2017 model could still be better in Android apps though - with its hexa-core ARM vs the dual-core Intel chip. Another change I notice is that the screen has been swapped out to a lower resolution model, from a 12.3-inch 2400x1600 pixel display in the 2017 Chromebook Plus, to a 12.2-inch 1920x1080 pixel display in the V2 device. Built-in stylus, no need for charging (looks like an S-Pen), and can be used for creativity, note taking, sketching, editing, signing, magnifying and selecting. You can read the full specs on the official Samsung News Blog. Samsung says that this refreshed device will be available from 24th June at Best Buy online and in store from $499.99. As a reminder, yesterday HEXUS reported upon indications that the Google Pixelbook may get Windows 10 certification soon. Samsung would probably welcome the chance to offer Windows OS compatibility to its Chrome OS devices too. Nvidia teases GeForce GTX 16 series gaming laptops One Mix 2S Yoga pocket laptop beefed-up with Core i7 processor Samsung postpones Galaxy Fold consumer launch Has Samsung been chosen for Intel Xe GPU manufacturing? Does the Samsung Galaxy Fold hinge and screen lack durability? If the latest samsung chromebook is running a celeron, couldn't it install W10 now?